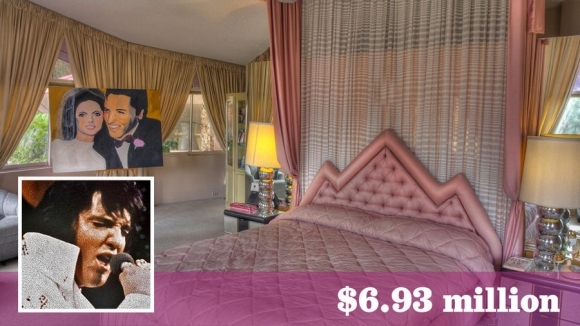 In 1966 this historic mid-century estate was leased to Elvis Presley where he and Priscilla spent their honeymoon; Lisa Marie was born nine months later. This iconic modernist estate was designed in four perfect circles, on three levels, incorporating glass and peanut brittle stonework for indoor-outdoor living. 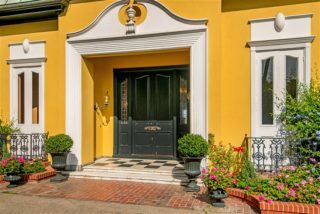 The home features four bedrooms and five baths. Nestled at the base of the San Jacinto Mountains, the honeymoon suite offers a panoramic view of the Santa Rosa Mountains and the Coachella Valley. 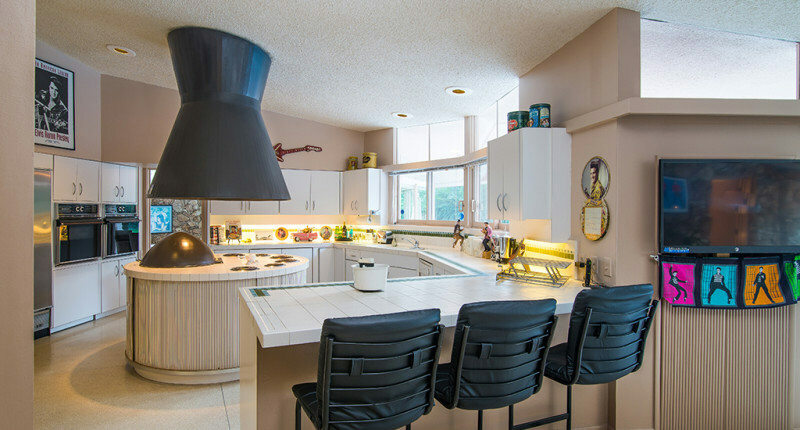 The estate has been restored to its 1960s splendor and features art deco design and furnishings throughout. 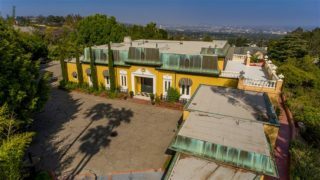 The secluded grounds include a pool, stage, private garden, tennis court, and fruit orchard. 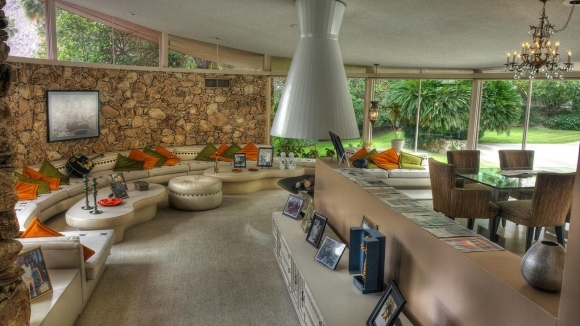 In 1962 Look Magazine featured the estate calling it The House of Tomorrow. 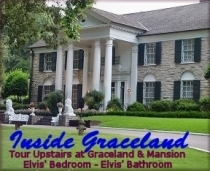 Several movies have been filmed at the estate including Elvis & Me and Elvis by the Presleys. 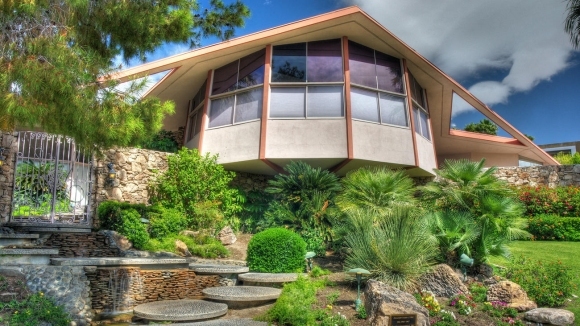 This historic mid-century masterpiece is minutes from Palm Springs International Airport and downtown.